The Seaside Ohana Combo is composed of two homes right next to each other. Renting both homes will give guests access to a total of 6 bedrooms and 4.5 bathrooms. These homes sleep 12-16 guests. Note: No wet beverage glasses without a proper coaster on wooden tables in Japanese tearoom, coffee table, etc. Welcome to Seaside Hideaway! 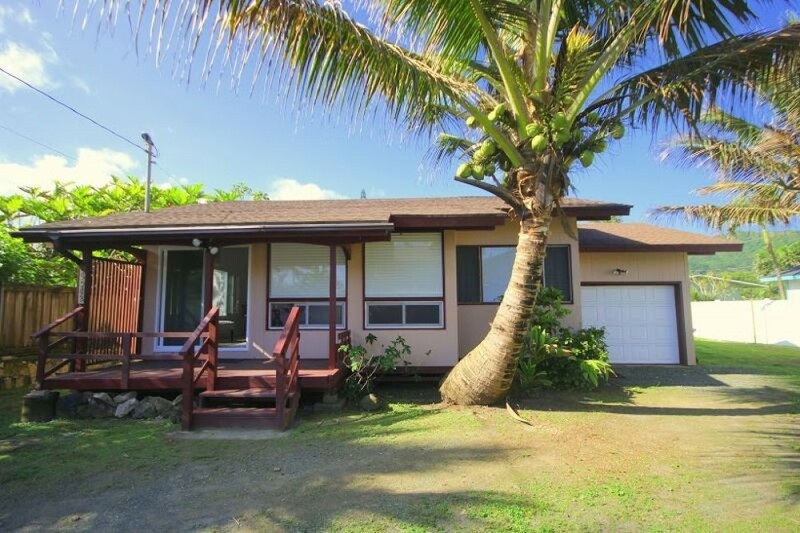 This newly remodeled home is located in Oahu's North Shore where fun and adventure awaits you and your family and friends. At the end of the driveway is a great beach for snorkeling and swimming that is protected from the big waves. A short 5-minute drive away is the world famous Polynesian Cultural Center and the famous town of Laie. This 2-bedroom, 1.5-bath home is perfect for honeymooners or a small family. Queen Bed in Bedroom #1 and 2 Twin Beds in Bedroom #2. There's a full kitchen, a dining area, and a living area with flat screen TV and comfortable couch. The lanai provides space for relaxing or just a family BBQ night. Enjoy not only the ocean view but also the mountain views. This home is sure to give you and authentic experience full of Aloha!